Read more of Jennifer’s fun travel stories now! 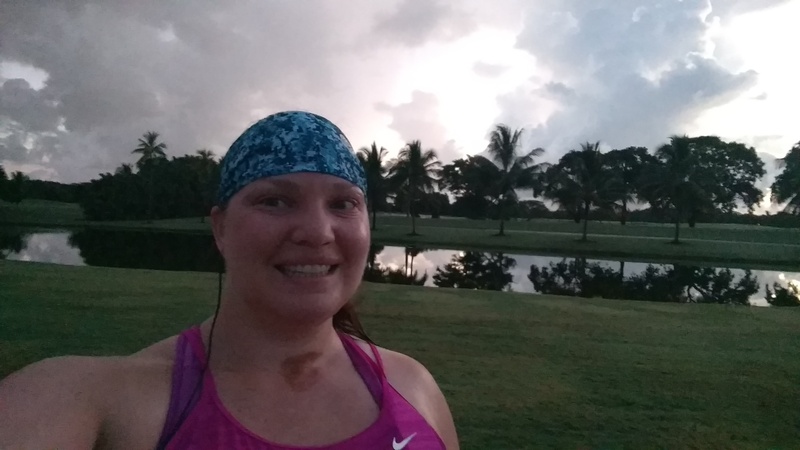 Read about Running in Tampa! In July 2016 I traveled to Miami, FL, for work. It was a short-notice trip and my agenda was not set until the first morning I arrived for meetings. So I wanted to stay closer to the location of my meetings rather than out near the beach like I did when I was there the year before. 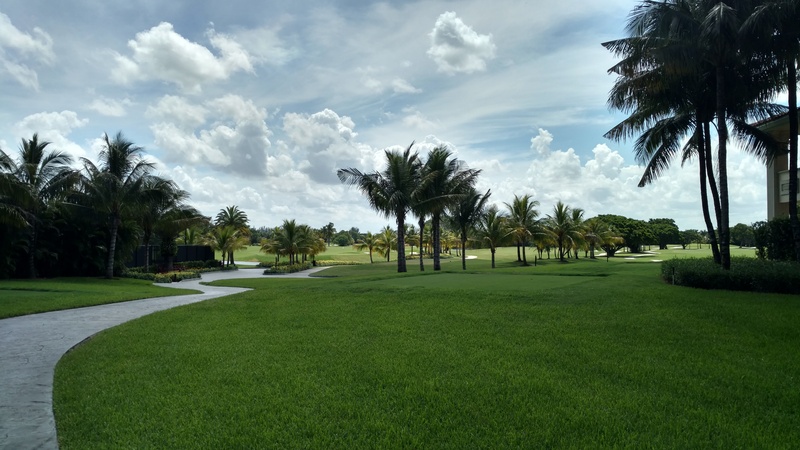 Since I wasn’t staying in one of the nicer Miami neighborhoods but I still wanted to get in runs each day, I ended up choosing a golf resort that I thought would give me nice paved paths and pretty views. 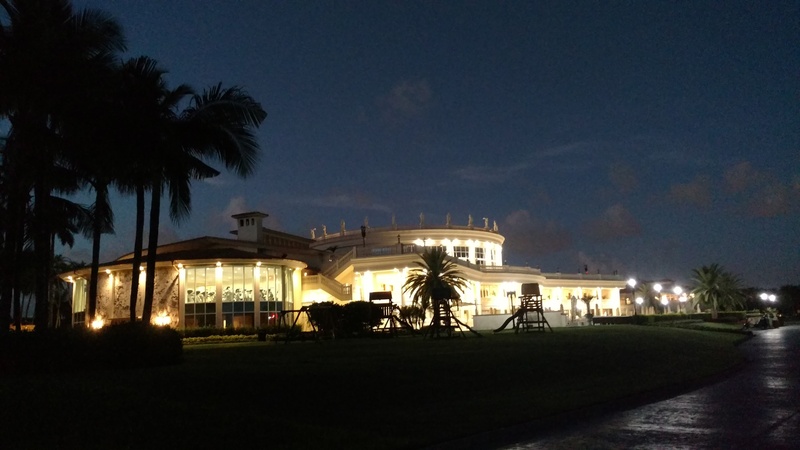 My hotel, the Trump National Doral Miami resort (in no way a political endorsement of the hotel’s namesake by myself or anyone at Casual Runner, we stay out of that sort of thing here), at first glance seemed perfect for my planned early morning runs. 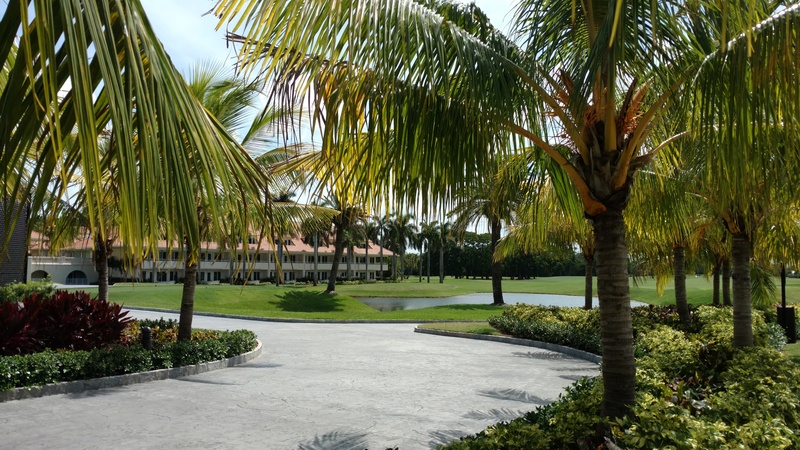 There are four golf courses resulting in miles of paved paths. 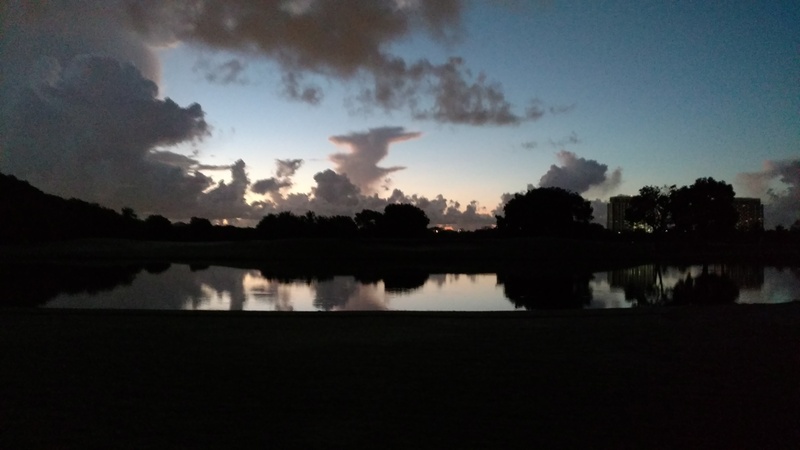 Golfers didn’t start heading out for their first rounds until about 6 AM, which gave me plenty of time to get my runs in each morning before I had to worry about dodging carts or balls. The grounds were perfectly groomed, the light reflected beautifully off of the water holes, the area was crawling with Pokeman and Poke stops, and as far as I knew there were no reported alligators sightings (as a former Florida resident I’m always skeptical of fresh water ponds). The afternoon I arrived I stopped by the front desk to ask about recommend running paths. They gave me two laminated cards with suggested two routes—one on the resort grounds and one to a nearby park. I didn’t want to deal with crossing the major intersection near the hotel so I opted for the resort option for my run the next day. 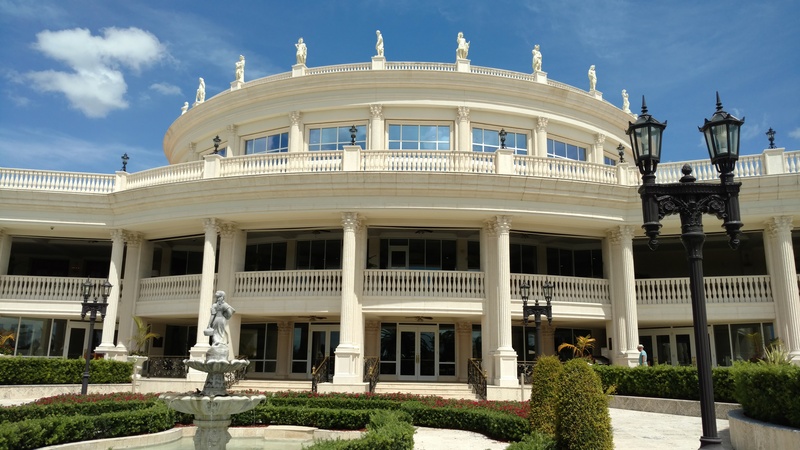 On paper, the route looked great: It started near a large fountain in the center of the resort, passed between the hotel and the golf course to a small wooded trail along one side of the resort, wound around the golf school, and then dropped onto the cart path for about a quarter of a mile. The one-way trip was about a mile so my plan was to run the out-and-back twice for a total of about four miles. Dude, this suggested path SUCKED! For a resort that obviously knows how to landscape and clearly mark paths, they completely dropped the ball on the running path. I can forgive the fact that the sprinklers close to the hotel were on in the early morning when I was running and were kind of spraying on the sidewalk (resulting in wet shoes for me), because that’s just a fact of life. What I cannot forgive is that the “wooded trail” was really just an overgrown space between two chain-link fences. The complete absence of lighting in this overgrown area that made up about half of the recommended trail, was only worsened by the lack of signs to tell runners emerging from the overgrown area that they were supposed to cut across a pothole-plagued parking lot before ducking into a small space between trees to get onto the cart path. Not only was the lack of lighting creepy, it made it impossible to see the spider webs across the path and the slick spots from whatever fruit was dropping from the trees and rotting on the pavement. Due to the absence of signs, I wasted about 10 minutes trying to find the right path to get to the golf course to continue my run. When I finally found the right path to the golf course I was rewarded with a nice running trail for a short bit, but I was frustrated that the only sign I saw related to the running path was the one telling me to turn around and go back after a quarter of a mile. I obliged the sign because I lost so much time wandering through the parking lot and walking the overgrown trail portion that I would only have time to do one out-and-back before I needed to shower and get ready for my day, especially since I’d also have to clean up my shoes that were stained dark purple by whatever fruit was rotting on the pavement. For the rest of the trip I completely ignored the trail recommended by the hotel and instead tried different routes through the four golf courses. These ended up being pretty nice runs and I saw a few other runners who were also ignoring the recommended path (for understandable reasons). Overall I was disappointed by how the resort treated runners. I totally understand that they don’t want pedestrians wandering around the greens while golfers are out—there’s probably a liability issue in addition to the general distraction to the golfers. But if they are going to recommend a path that keeps us off the golf course then it needs to be tended as well as the greens that we all see from our hotel room windows. The lack of lighting and signage was inexcusable. And there are plenty of great paths that they could have recommended for lengths longer than a mile, even if they wanted to caveat that certain paths would be closed to runners when golfers were out. 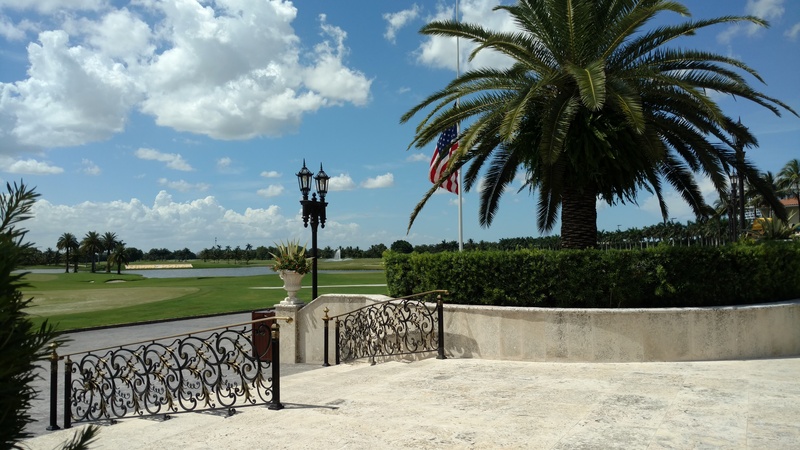 Runners and golfers already co-exist at this resort, but it’ll take a bit of work on the resort’s part to make runners feel fully welcome. Travelling & Running in Tampa!